KaBoating is the Life for a Senior! Thanks to new inflatable from BoatsToGo! 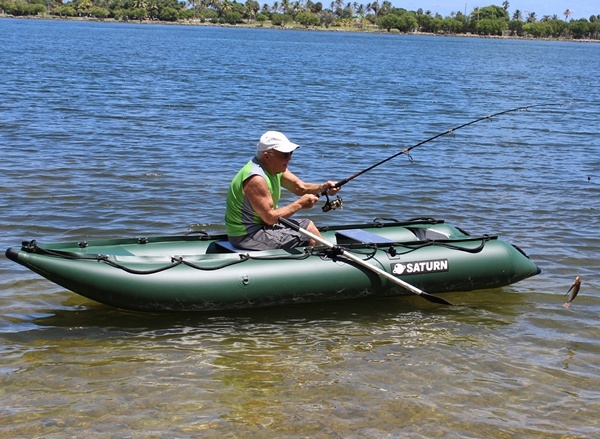 HomeBoatsToGo - Blog About Inflatable Boats, Inflatable Rafts, Inflatable Kayaks And More...KaBoating is the Life for a Senior! Thanks to new inflatable from BoatsToGo! As it stands today, I am 75 years old. I have been an avid boater and fisherman throughout most of my life. But with age has come an aversion to some of the inconveniences that owning a hard hull boat comes with. The hooking up of a trailer to my car in order to get my boat to the water. The lifting of the boat onto and off of the trailer itself. The strain of cleaning a hard hull boat. All of these things were weighing on me physically, but I would continue to force my body to do them. Why, you ask? Well, the answer to that is simple. I just can’t live without my stress-free days out on the water. But now, I can have my cake and eat it to. That's because I discovered the incredible Saturn SK396 12’ KaBoat from BoatsToGo. First, let me tell you what a KaBoat is. 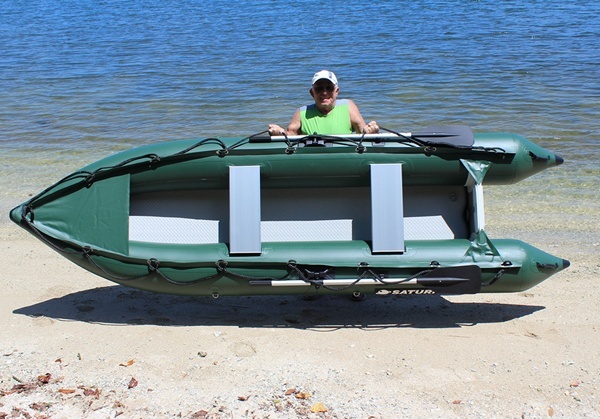 Simply put, this forward-thinking vessel is a cross between an inflatable kayak and an inflatable boat. Combining the best of both of these inflatable boats, the KaBoat has the versatility to let you zip through the water powered by a small electric motor, or paddle in tight spots where only a kayak could fit. That’s because of its unique narrow profile that BoatsToGo says is modeled after Asian Dragon boats. Plus, it’s designed to be stable enough for flyfishing and casting while standing. Thisinflatable boat is light weight. As I have gotten older, I have become less inclined to want to do the sort of heavy lifting that accompanies boat-related activities like putting a boat on a trailer. But with the SK396, I don’t have to worry about this at all. After each use, I just deflate my inflatable boat, slip it into its convenient carrying bag, and I can move this all very easily. It takes up almost no space. I live in an apartment. That means I have no garage, backyard, or lawn. But with my inflatable KaBoat, that doesn’t matter at all. I just toss my bagged-up inflatable boat into my hallway closet, shut the door, and it is completely out of sight without taking up much room at all. This also applies to the fact that it fits right in the trunk of my car, so I can take it anywhere without needed a large truck or a boat trailer. The price is right. As a senior, I live on a fixed income. That means boat-related expenses like docking fees are a real strain on my monthly budget. But as I have said earlier, my inflatable boat fits right in my hall closet. That means no docking fees whatsoever. And as far as the price of the boat itself is concerned, its sale price of $549 on BoatsToGo.com is a steal if I’ve ever heard one. It even comes with the handy carrying case, a set of rowing oars, a couple removable benches, and the high-volume hand pump for easy inflation. Now that’s a great deal!